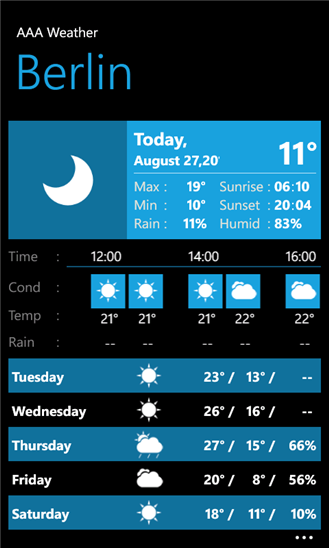 "AAA Weather" is a Weather Information application for Nokia Lumia Windows Phone. 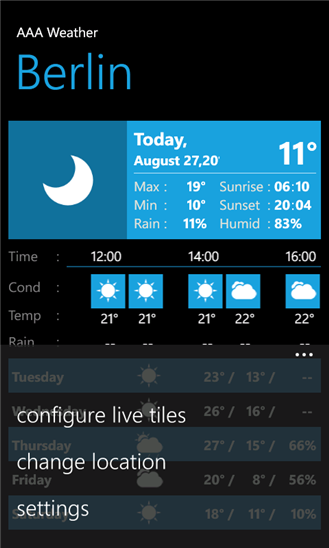 This application offer a unique & different live tile compared by another weather information applications. 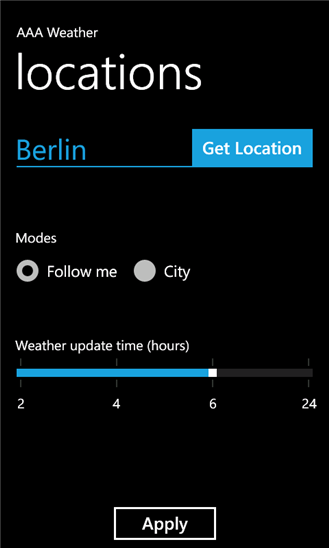 "AAA Weather" provide 2 connected live tiles (left and right side) to show the weather and forecast information.
" 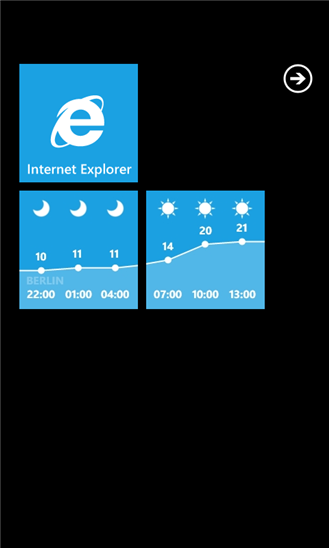 Are you tired of only seeing the current weather condition on your home screen! 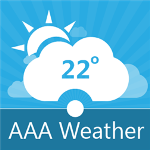 AAA Weather shows you the weather forecast for the next hours on live tiles. 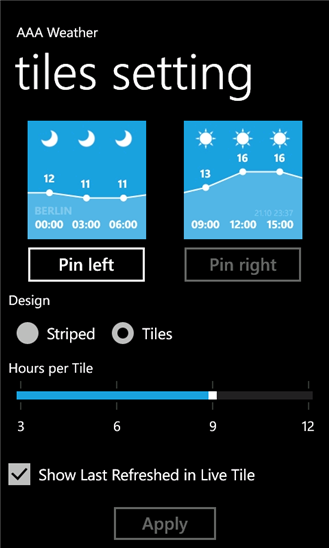 The innovative double live tile technology offers you the feeling of Windows Phone 8 TODAY! 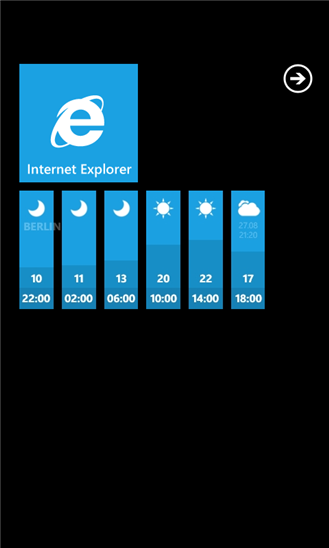 and doubles the weather forecast information. "